The Spa at Salon D’Va: Start your new year by resolving to relax more—and The Spa at Salon D’va will be glad to help. It’s also a great choice for a pampering girlfriend getaway. Gina’s Creative Jewelry: Stop in at Gina’s Creative Jewelry to look for unique gifts for yourself or a loved one. 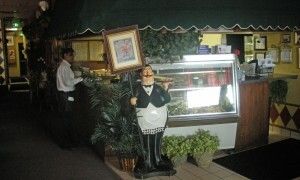 Papa Joe&apos;s Jr.: This local Italian restaurant offers a great lunch menu and is known for its “Works Salad.” Give it a try! Sweet Treats Cupcakes and Soda Shop: Satisfy your sweet tooth with a stop at Sweet Treats Cupcakes and Soda Shop. You’ll find cupcakes, fudge and nostalgic sodas. R&R Music Central: With two locations, R&R Music Central offers musical instruments, sound reinforcement, accessories, and even music lessons. Midwest Scuba Center: Planning a Caribbean vacation this year? Stop by Midwest Scuba Center for both diving equipment and education for all experience levels. Mr B&apos;s Cigar Box: This shop sells cigars and accessories and also offers a bar where you can enjoy a cigar while watching a Colts game. 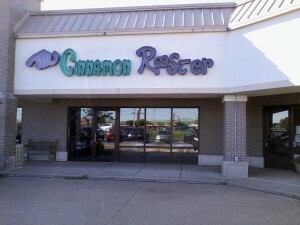 Cinnamon Rooster: Start your trip to these crossroads with breakfast at the Cinnamon Rooster. And take a 12” pizza-style cinnamon roll home for later! Cherish Jewelers: This locally-owned jewelry store is an authorized Pandora dealer, and it would be a great place to do some shopping for Valentine’s Day. Godby Home Furnishings: With furnishings for every room of your home, Godby is a great place to go when you’re ready for some new furniture. The store has three additional Central Indiana locations, making options endless and delivery easy. Stay tuned in the coming months for more Crossroads features! If you have recommendations, I&apos;d love to hear them in the comments below.